What the first 64 versions of the dish lasted like? Actually, this was a lunch meet up with some other Atlanta food bloggers (Grant from Marie, Let’s Eat, Sandy from Bella Vivere and Leslie – whose blog name I didn’t catch, although I thought it was possibly “Food Near Me?”) to meet for lunch, try a new spot (for all four of us) and “talk shop”. 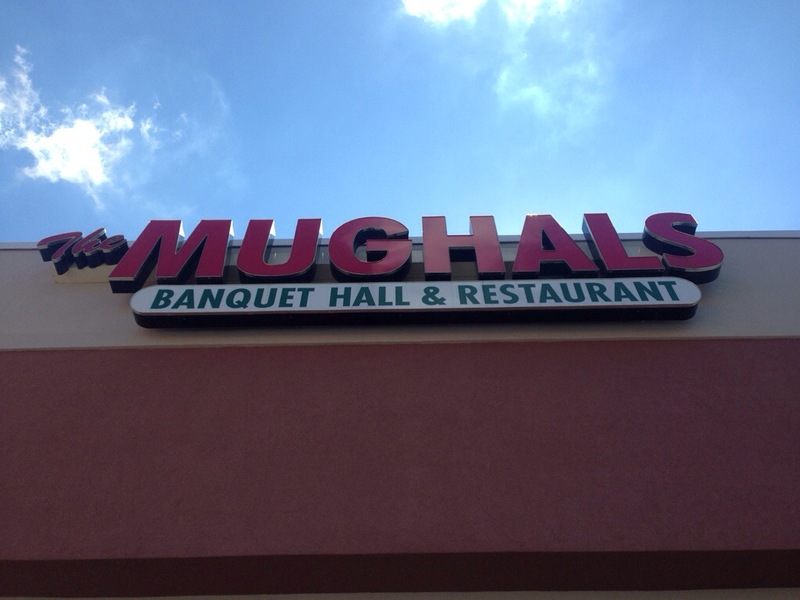 The Mughals (named after a Persian empire from the mid-sixteenth to late-seventeenth centuries) is an Indian / Pakistani / Bangladeshi restaurant in a multi-cultural strip mall at the intersection of Singleton Road and Jimmy Carter Industrial Boulevard. 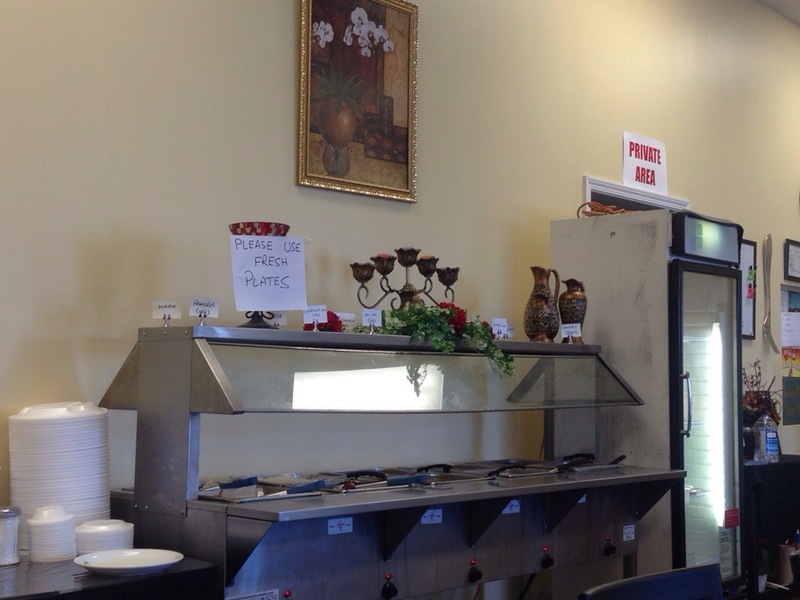 They offer both menu service (ordered at the very small counter in the corner – off-right above) and a $9.99 lunch buffet (which had four or five entrees, and twice that many sides). Between the four of us, two had menu service and two ordered from the buffet. I was on the menu service team, but the food from the buffet (across the table from me), particularly the butter chicken, looked to be very good. But the recommender of the restaurant said that their chicken 65 was the best in town. And it wasn’t on the buffet. I was headed for the menu – how could I leave that gauntlet where it had been thrown down? So I ordered a naan (above) and the Chicken 65 (below). 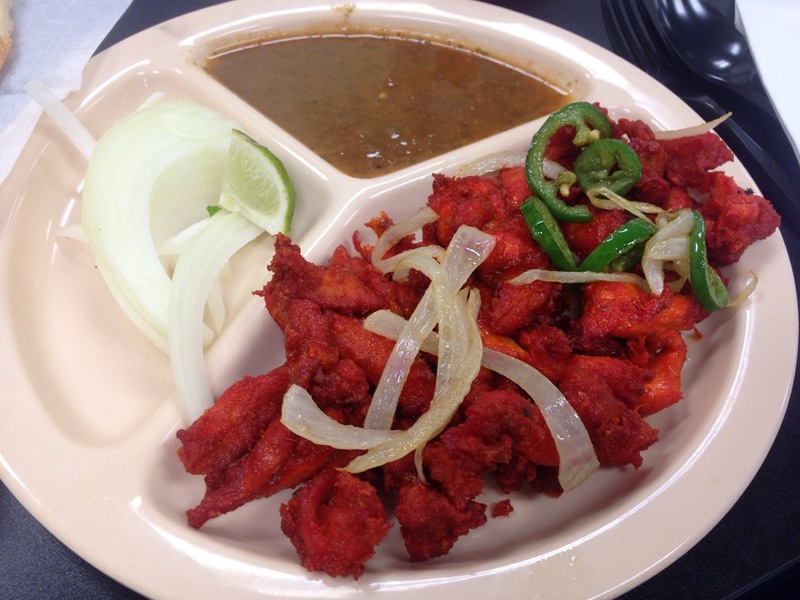 Chicken 65 is a spicy deep fried chicken dish, originating in Chennai (Madras), India, that, supposedly, was originally a bar snack or quick entree. (I’m thinking the Indian equivalent of hot wings.) And after doing a bit of looking around on the internet, the best story I can find about the name relates to it have first been served at the Buhari Hotel in Chennai, in 1965. Frankly, I was hoping for something much more magical in the naming. As to the taste, it had a nice bite that was neither too vinegary nor pure cayenne. And the after-burn was stronger than the initial. They had a yogurt sauce that added a nice cooling element to the dish, which I enjoyed much more than the tamarind sauce that it was served with. 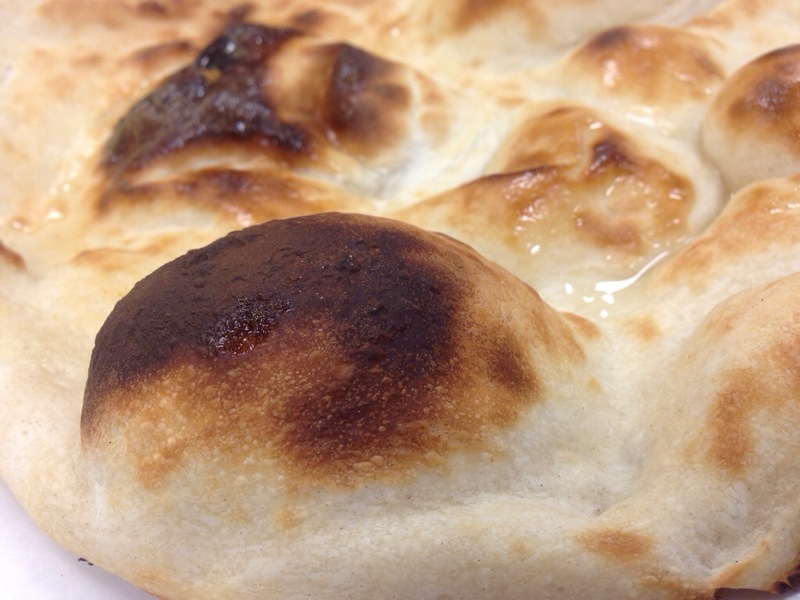 The naan and the tamarind made for a good mix, however. The company was great and the food was good. Not a bad way to spend a Friday lunch hour.